Please take a moment to familiarize yourself with our website. Be sure to explore the resources, professional learning opportunities and supports available to you to help you grow as a professional. Check back often for new content! Here you will find the provincial Facebook feed as well as provincial and local Twitter feeds. Live feeds for professional development (provincial office) and ETFO pension have been inlcuded here as well. Because our Local has a closed Facebook group, we cannot share the feed on this page. You can request to join our group here. For more information and to register for these events, please visit the What's Happening? page. This workshop will explore attitudes towards and perceptions of poverty in a broader context. Two workshops. One amazing day of learning! This workshop will address challenges OTs face every day in the classroom and a variety of methods to deal with them. There are only 40 spots available in this Board facilitated workshop, so sign up early. Local Chambers of Commerce are hosting Ontario Minister of Finance, Vic Fedeli, to discuss the most recent Ontario budget. 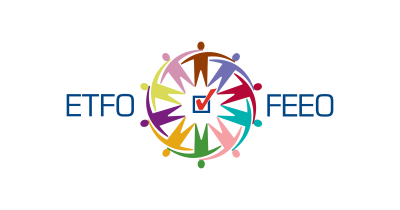 You are a member of the ETFO - Upper Canada Occasional Teachers' Local. You have a collective agreement which outlines your rights and responsibilities and determines your working conditions. Please take the time to read through this important document.